A RainSoft water filtration system can be an especially good investment for those who live near agricultural areas, or live on a farm themselves. According to the U.S. Geological Survey, a research subsidiary of the U.S. Department of the Interior, about 95 percent of people who live in agricultural areas depend on ground water for their everyday water needs. Unfortunately, ground water can pick up numerous contaminants from these areas, which it carries all the way to your tap. By installing a filter where water enters the home, many of these water quality issues can be addressed. 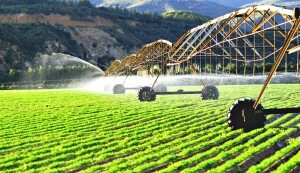 Farms use fertilizers and pesticides in order to promote the health and size of their crops. It is when these substances seep into the ground that they can make their way into ground water. Contaminants that come from fertilizers and pesticides include nitrates from fertilizers and potentially toxic chemicals from pesticides. Even if farming has not occurred in your area for years or even decades, it is still advisable to install a water filtration system, as these substances can still be present in the ground water. If you have been experiencing any sort of issues with your water, whether it looks cloudy, leaves stains, has an odor, or generates an unpleasant aftertaste, RainSoft can help you find the root cause of the problem with a complimentary in-home water test. Following this test, we can recommend the best course of action to improve the quality of your water. To learn more about having a water filtration system installed in your home, contact your local authorized RainSoft dealer today.